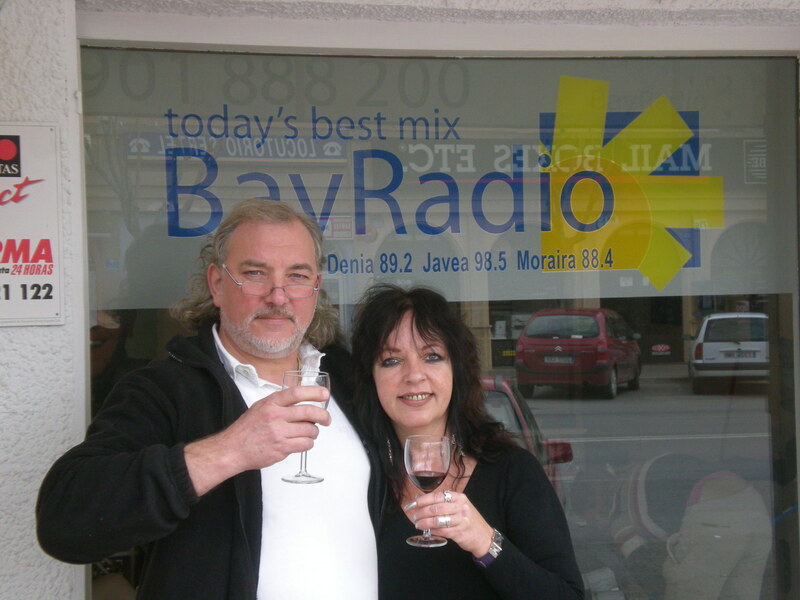 Bay Radio Presenters, Noelle and Bob, taste the wine recommendation! We wouldn’t go far wrong with a super, dry cider from Asturias to match this dish – I love them! However it’s a wine we need, and I think a white one with some body to match the light meat of the pork and a touch of apple flavour in there as well to go along with the cider and apple in the dish. The white wine grape variety Macabeo often gives crisp green apple aromas and flavours, but a stainless steel fermented one with no oak ageing may be a little too fresh for this dish. So look for a Macabeo that has been either fermented in barrel, or has had a few months ageing in oak – or both! Over six months in oak would be too much I think as there’s the risk that the variety’s natural acidity would be too neutralised to cope with the rich creamy sauce. Two to four months in oak barricas would be just right. 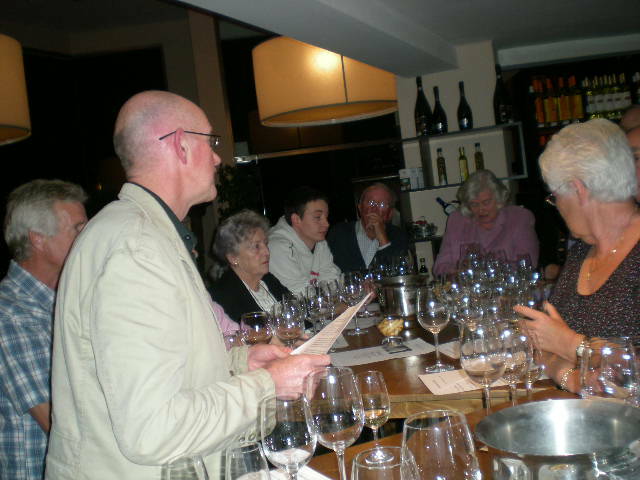 Tutored Wine Tasting Enjoyed By All! 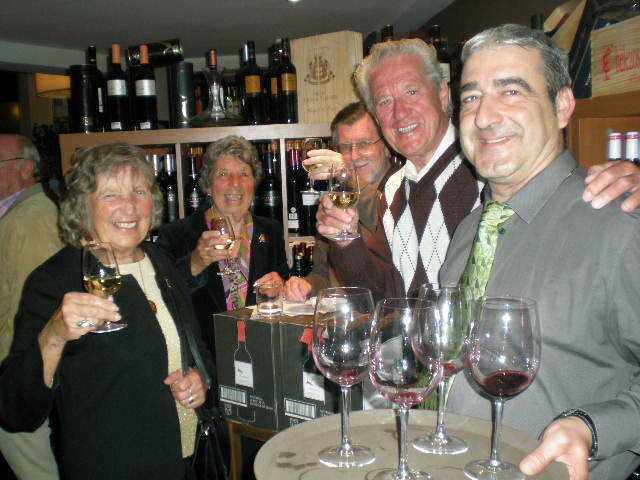 When invited to present a wine tasting at Moraira’s new wine merchants, Bodega Collection World, I accepted with alacrity! Jorge, the owner, is the ex-sommelier of the Michelin Starred Restaurante Girasol, which closed recently. Jorge knows his wines so it was sure to be a super collection in his shop and therefore a pleasure to present to the full-house of tasters, most of whom dined afterwards as well in the attached Salamandra Restaurant. We tasted a white wine from Rueda, a super rosado wuth some oak ageing (quite rare these days) from Jumilla, a top Rioja crianza red (which restored many people’s faith in Rioja), a young, meaty red VdlT wine with good ageing potential, and finally a delicious dessert wine at on 10% abv! A charming low alcohol dessert wine! 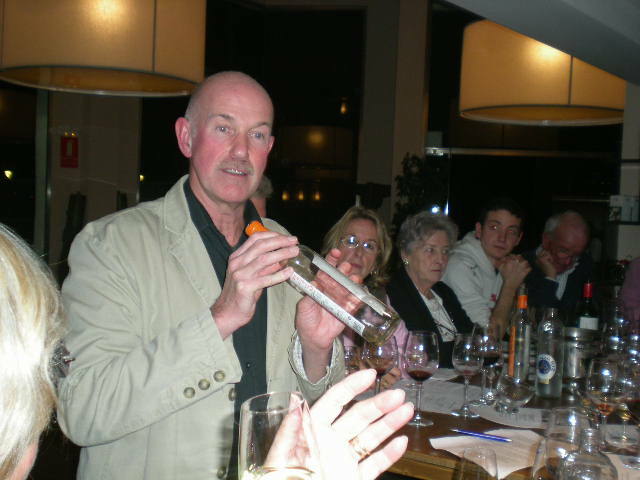 If you would like to organise a wine tasting for your group/business, please contact me. Also please keep your eye on this site for more wine tastings! “Non So Piu Cosa Son ” performed by Dolce Divas. Dolce Divas (Click to visit their website)specialise in Classical Music and Opera Favourites, giving recitals in concert halls and also providing Wedding Music, Romantic Chill-Out and Cocktail-Bar music for hotels and restaurants. Enjoy your articles and advice therein. For my sins I am President of the Phoenix Social Club in Velez Malaga. Mostly Brit retirees (but not ALL!). Interested in Bodega visits or Wine tastings but must be fairly low budget. Do you have a newsletter? Colin, I found your website as a result of being invited to a wine tasting later this month near Denia which I understand you will facilitate. I see that you organise visits to wineries including tours, wine tasting and dining. My partner Janet and I thoroughly enjoy such visits and over the years have included them on our holidays in Chile, Argentina, South Africa, Spain and I took a bicycle tour of wineries in Sonoma Valley, California many years ago. We are definitely not experts! Now that I spend most of my time in Valencia it would be great to visit more Spanish wineries. So far we have visited Torre Oria and Enguera. Do you publish details in your newsletter (to which I have subscribed today) or separately? Joe. remember me…..Alison? I hear you are having a Wine Tasting in Alfaz Mendoza and Lunch after, may Ann, Ken and I join you? I am Social Secretary for the Montgo Residents’ Association, Javea and would like to organise an event with you. We would have an audience of between 20 and 50, depending upon the format I agree with you. Probably a lunch, followed by your presentation or a lunch with paired wines which you introduce the selected wine: I’m happy to run with whichever format you prefer. We could hold it at a venue, such as La Parrilla, of your choosing, or I could probably organise Le Gourmand, which is our local venue. Hola Chris – a great pleasure to hear from you! As you know, we have been in contact since you posted this comment, and I’m on the case! Gracias!